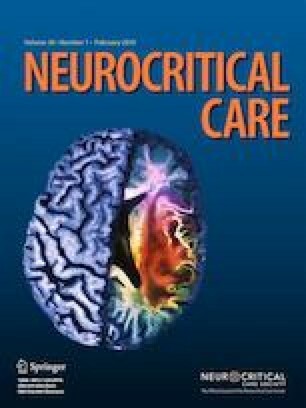 Incidence and patterns of brain lesions of sepsis-induced brain dysfunction (SIBD) have been well defined. Our objective was to investigate the associations between neuroimaging features of SIBD patients and well-known neuroinflammation and neurodegeneration factors. In this prospective observational study, 93 SIBD patients (45 men, 48 women; 50.6 ± 12.7 years old) were enrolled. Patients underwent a neurological examination and brain magnetic resonance imaging (MRI). Severity-of-disease scoring systems (APACHE II, SOFA, and SAPS II) and neurological outcome scoring system (GOSE) were used. Also, serum levels of a panel of mediators [IL-1β, IL-6, IL-8, IL-10, IL-12, IL-17, IFN-γ, TNF-α, complement factor Bb, C4d, C5a, iC3b, amyloid-β peptides, total tau, phosphorylated tau (p-tau), S100b, neuron-specific enolase] were measured by ELISA. Voxel-based morphometry (VBM) was employed to available patients for assessment of neuronal loss pattern in SIBD. MRI of SIBD patients were normal (n = 27, 29%) or showed brain lesions (n = 51, 54.9%) or brain atrophy (n = 15, 16.1%). VBM analysis showed neuronal loss in the insula, cingulate cortex, frontal lobe, precuneus, and thalamus. Patients with abnormal MRI findings had worse APACHE II, SOFA, GOSE scores, increased prevalence of delirium and mortality. Presence of MRI lesions was associated with reduced C5a and iC3b levels and brain atrophy was associated with increased p-tau levels. Regression analysis identified an association between C5a levels and presence of lesion on MRI and p-tau levels and the presence of atrophy on MRI. Neuronal loss predominantly occurs in limbic and visceral pain perception regions of SIBD patients. Complement breakdown products and p-tau stand out as adverse neuroimaging outcome markers for SIBD. The authors thank the personnel of the Multidisciplinary Critical Care Unit at the University of Istanbul for support and indebted to Bio. Fatma Vildan Adali for assistance. GO, FE, SS, BB, and ET contributed to conception and design of the study. GO, PEÖ, and FE contributed to acquisition, analysis and interpretation of data from sepsis patients. SS and MB contributed to acquisition, analysis, and interpretation of brain magnetic resonance imaging. BB and HN contributed to acquisition, analysis, and interpretation of voxel-based morphometry. ET, MK, and CU contributed to acquisition, analysis and interpretation of data from ELISA studies. BB, AA, and ET performed the statistical analysis. GO, FE, SS, BB, and ET were involved in drafting the manuscript or revising it critically for important intellectual content. All authors read and approved the final manuscript. This work was supported by Scientific Research Projects Coordination Unit of Istanbul University. Project Nos. 35165 and 46960. All procedures performed in studies involving human participants were in accordance with the ethical standards of the institutional and/or national research committee and with the 1964 Declaration of Helsinki and its later amendments or comparable ethical standards. The study was approved by the institutional review board (Approval No. 2013/98), and signed consent was obtained from patients or their relatives.